CFHI is honored to receive interns from around the world at our offices in San Francisco. This summer we have the pleasure of welcoming Amani Ruiz from Rice University. Amani is passionate about understanding health disparities and exploring how CFHI’s programs can help bring awareness to the social and environmental determinants of health globally. In recognition of World Refugee Day, Amani has written a piece highlighting the important work taking place on her campus focused on the staggering 65.6 million displaced people in the world today. Hi everyone! 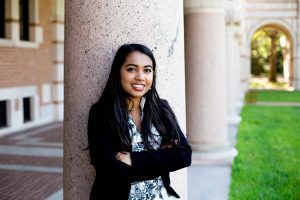 I’m Amani Ramiz, a CFHI intern from Rice University. Since Congress passed the Refugee Act of 1980, America has accepted over 3 million refugees. 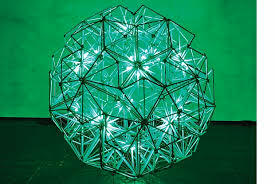 For World Refugee Day, I wanted to focus on a project showcased at Rice’s Moody Center of Arts earlier this year: Olafur Eliasson’s “Green Light— An artistic workshop” and a brief history of Houston’s refugee involvement. In this exhibit, local refugees and migrants from various countries, including Afghanistan, Iraq, Iran, Syria, and Cuba, united to build “Green Light” lamps from recyclable and sustainable materials. Rice University was chosen as the first location for this workshop in America, which has now expanded internationally to other countries. The workshops are site-specific, helping refugees transition to their new community. 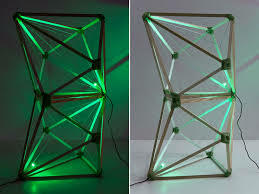 Pictures 1&2: The green lights are sold as individual units, but can be stacked to form larger shapes. Green light serves as a metaphorical representation of hope and purpose for refugees, who are celebrated as survivors rather than victims. According to creator Olafur Eliasson, “there is a very strong tendency to see refugees as resourceless. One of the strategies of the ‘Green light’ project is to promote the idea that refugees are also resourceful; they’re full of potential.” (1) This potential serves as encouragement for refugees as they search for work in their local communities. Refugees are often seen as victims needing aid rather than self-sustainable. They arrive in a new country where they don’t always speak the language, often resulting in miscommunication. The persistence amidst loss and hardship is rewarded with hopes of a better future for their families and themselves. “Green light” serves a green light for refugees that they are protected now, in a country that will try to help them acclimate and follow their dreams. With multiple refugee services in Houston, refugees are provided with resources to transition smoothly into American life. The United States received 71 percent of U.N.-referred refugees between 2010 and 2014. Houston welcomes more refugees than any other city in the country. Houston alone welcomes about 25 of every 1,000 refugees, which is more than most nations. If Greater Houston were a country, it would rank fourth in the world for refugee resettlement (3). Houston began a refugee resettlement program in the 1970s, resettling 200,000 Vietnamese migrants after the Vietnam War (4). Since then, Houston has welcomed refugees from more than 40 countries. With Houston’s sustained efforts for refugee resettlement, Rice University was the perfect location for “Green light” in America. The refugee community comes from diverse backgrounds from different countries, time periods, and struggles. Hence, the refugee resettlement is what makes America great. It produces a blend of culture and traditions, the melting pot that America has always been famous for. This entry was posted in Cultural Humility and tagged refugees on June 21, 2017 by Keaton Andreas.